There are so many people who feel their first career choice has left them completely worn out, aimless and bored. Deciding to change careers at the mid-stage of your life is a big step, full of resistance from family members, the possibility of financial instability and risk of failure. But sometimes taking the biggest risk can give a 360 degree turn to your life. 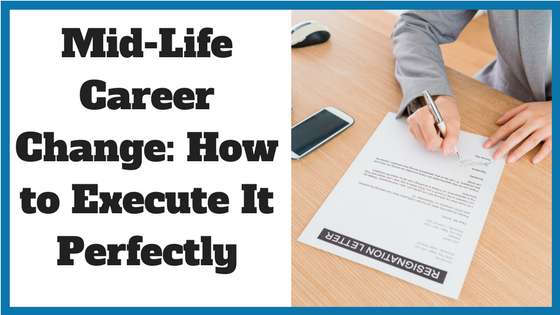 If executed perfectly, a mid-life career change can help you achieve your goals to live a happy, fulfilling life. Making a mid-life career change means a beginning of new phase of work life. This career can be anything from teaching, painting, consultation, writing, volunteering, travel and leisure. Deciding on a new career that suits your values and strengths will help you to achieve the highest degree of self-satisfaction. Before choosing to change your career, it is important to understand who you are and what you expect from yourself. The answers to these simple questions can sometimes seem impossible to find, but it is essential to know what pleases you and fills you with satisfaction. This is a whole project in which you need to settle down and take out time to figure out your interest and passions. Highlight your main strengths and weaknesses. Hiring a career coach is a great way to uncover your interests, passions, strengths and weaknesses and create a plan for your career change. There are multiple free personality and career assessments tests and tools available online that can help you analyze your new career path by asking a series of focused questions. Some are focused on helping you identify your strongest talents, and how you can best utilize and maximize those strengths in your career, while others like the Strong Interest Inventory® will offer you a list of career choices that match your personality. Assessing your career and career options can also be achieved by working with a career coach or consultant who will ask you the right questions, many of which are certified to conduct these assessments. Talking with trusted friends and family and recalling past events where you acquired the sense of satisfaction and achievement can help you understand what brings happiness to you. For example, maybe you really enjoyed painting in the past, but left it behind for a more stable job. Now could be your chance to take this hobby to the next level and turn it into a career or, at the very least, a side hustle. Talking to friends who can help you recall your highest career points and your past goals can also assist you in choosing the right career. 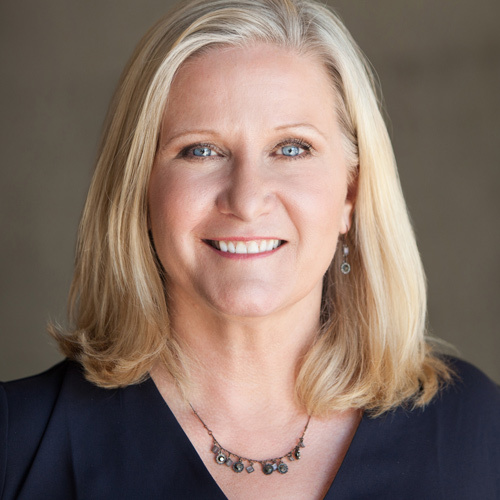 A mid-life career change is a major event in one’s life and for that you might require advice from an expert career coach before taking the leap. A career coach’s main objective is to help identify the person’s expertise, set targets, create plans for implementation and assist their clients during their endeavours. They will also provide you with a clear perspective on your current situation and help you weight the advantages and disadvantages of making a mid-life career transition. When it comes to whether or not a career change is a good idea financially, you may enlist the help of a financial analyst. They can help you analyze whether you should take a risk or not according to your financial situation. 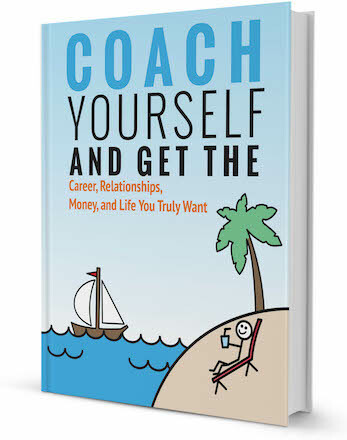 However, many career coaches can help you in analyzing both financial and non-financial benefits and risk. Their main focus is to provide a smooth transition of career to their clients. Our brain is greatly affected by what we think and believe. If a person decides they are stuck in their current job or profession with no way out, the brain will back up that belief. Thus, it is important to surround yourself with positive energy and positive people who can guide you in right direction. Connect with people who are in your field of interest and ask for an informational interview, read inspirational career success stories, join a Career Transition meetup group or support group. Social media sites like LinkedIn are a great resource for finding a suitable job. You can search job postings based on specific industries of interest, apply for jobs and network with relevant people in your field of interest. Another method of networking is attending seminars, conferences, workshops and events relevant to your career of interest and exchanging contact details with other professionals. This way you can keep in touch with them to get updates on any new job in your target institution. When you decide you are ready to make a career change, it’s important to have all of your ducks in a row before putting yourself out there. Make sure you have updated your resume and it is optimized for your career of interest. Mention all the degrees and qualifications you have achieved. There is no need to mention the dates when they were acquired. List your past job and experiences according to the job you are looking for. Do not add fake experiences they might get caught during your interview. A mid-life career change is a big decision and one might have to undergo various obstacles to get there, but it is important to stay focused on your goal in order to execute your plan successfully. 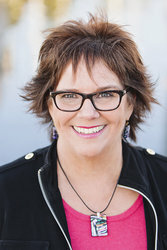 Thinking of hiring a career coach to help you make a mid-life career change? Browse our directory of career coaches and get a FREE consultation or request a personalized coach recommendation!